The winner of the 2014 Indy 500 climbed to the top step of the podium after a 42-race winningless streak. 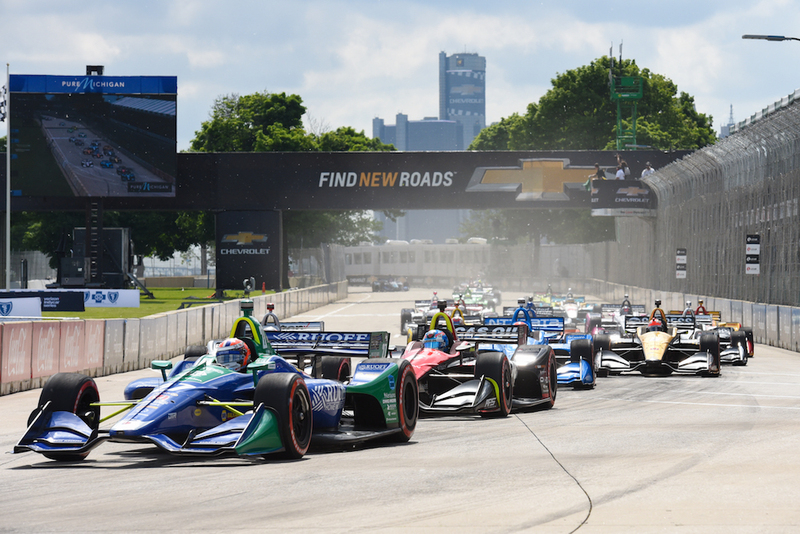 Andretti Autosport's Ryan Hunter-Reay returned to the winner's circle at this weekend's final race of the Detroit Double on the streets of Belle Isle. 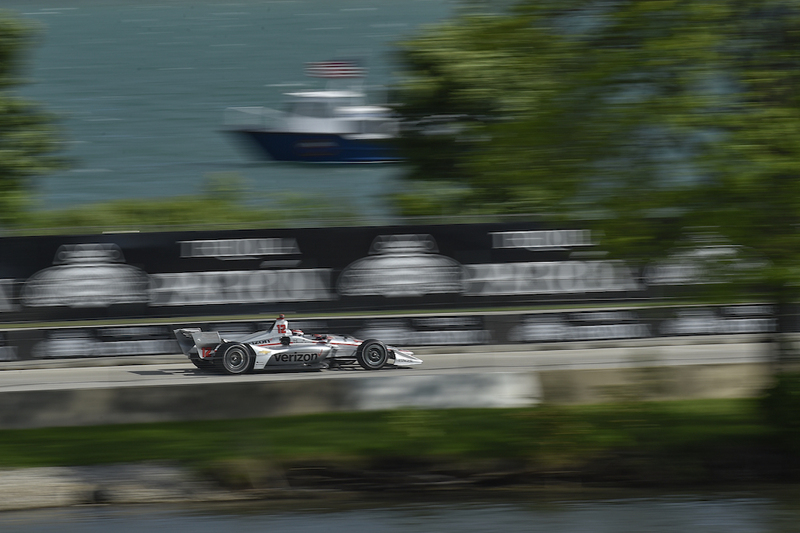 The American racer was followed by Team Penske's Will Power and Ganassi's Ed Jones in second and third places, respectively. As it's typical of the temporary street circuit, some drivers' fortunes fared better than others'. Speaking of fortunes, the 70-lap IndyCar race hadn't even started when a crash on turn two brought things to a halt. In a bizarre turn of events, the Chevrolet Corvette ZR1 pace car driven by the head of product development for General Motors, Mark Reuss, crashed into the wall while leading the IndyCar field on the parade lap. Reuss and his passenger were not injured, but it caused a nearly 30-minute delay. 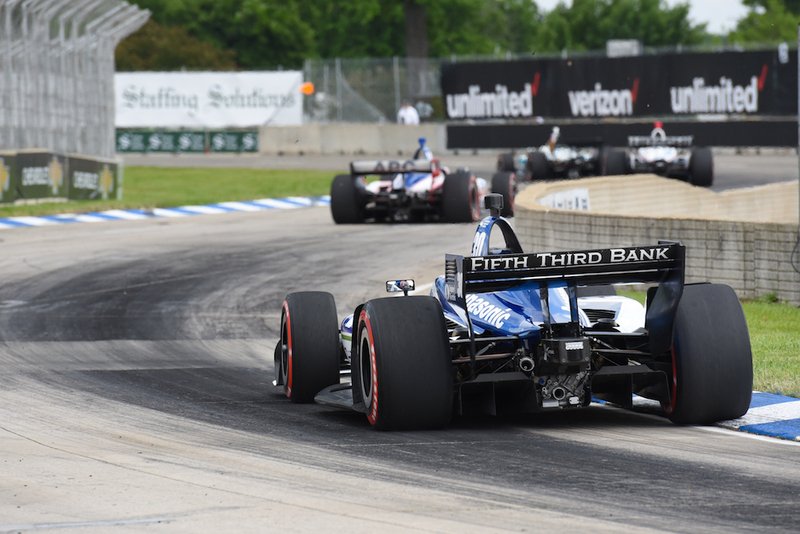 Once the race got underway, pole-sitter Alexander Rossi made the most of the dry weather conditions and blitzed Belle Isle courtesy of its red-sticker tires. Considering he had just qualified a couple of hours earlier in rain-soaked conditions, the California native was more than motivated to get on with the program. 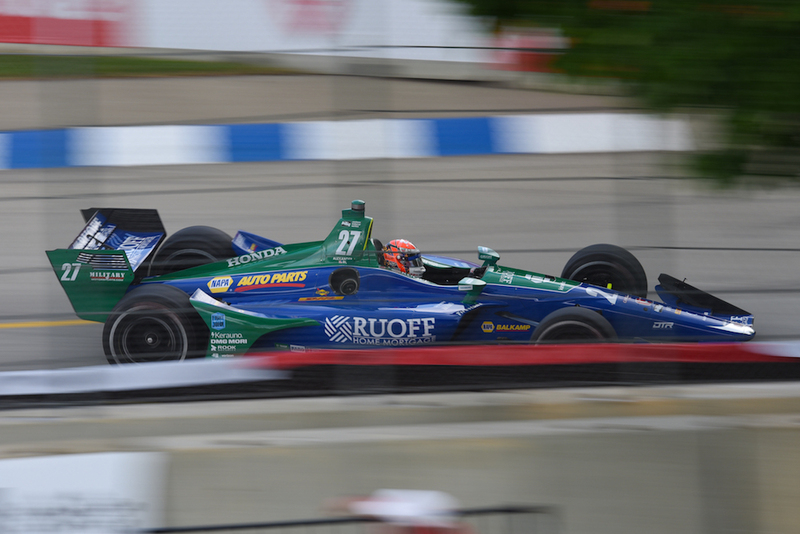 Sunday's only full-course yellow came courtesy of Spencer Pigot on the opening lap, due to the Ed Carpenter Racing driver stalling on turn five after being spun by rookie Santino Ferrucci. A second yellow was almost imminent, but leader Rossi was able to turn his Honda around and rejoin the race after locking up and diving into the runoff on lap 64. "It was a pretty disappointing day considering we led the most laps and started on pole," said Rossi. "For sure we didn't have the pace for Ryan, he was just on another level. So hats off to him and the DHL team, they certainly deserved to win. But the Ruoff Home Mortgage car definitely had a second-place finish in it. Unfortunately, with less than 10 laps to go, our luck changed." Much like the first day in Detroit, which saw Scott Dixon emerge victoriously, it was Andretti Autosport and Honda power that ruled the streets on Sunday, with Hunter-Reay, Will Power, Ed Jones, Scot Dixon, Graham Rahal, Robert Wickens, Tony Kanaan, Charlie Kimball, Marco Andretti, and Simon Pagenaud in the top ten. Had it not been for Rossi's hiccup, it would've been an all-Honda top six. "When we started that last stint, Rossi was more than a straightaway ahead of us. I couldn't even see him. I just put my head down and this thing was flying," said Hunter-Reay. "It was such a great car. I'm so happy for this No. 28 DHL Honda team. I wish my wife and the boys were here with me because they're the best, and this has been a bit of a long time coming. That was going to be a heck of a fight at the end, but good thing we pressured him (Rossi) into it and we're here in victory lane." After this weekend's results, it's Power who leads the drivers' standings with 309 points ahead of Dixon's 304, and Hunter-Reay's 278. The IndyCar circus now heads to the Texas Motor Speedway for the DXC Technology 600 on Saturday, June 9. As it turns out, the fastest-ever Corvette isn't easily tamed. Not even by its forefathers. A General Motors racing machine has won every IMSA-sanctioned race ever held at Belle Isle since 2007. Heavy rain and less than perfect conditions didn't stop yesterday's third-place finisher from setting qualifying's fastest time.